Savvy features dynamic menus created with style sheets. This allows authorized users to modify the site navigation bar. Below is an example of the navigation edit options. Edit options include 'edit current text', 'add new menu item', 'remove menu item', 'move item up', 'move item down'. Savvy allows multiple navigation structures to exist within a design template and can be either horizontal or vertical. 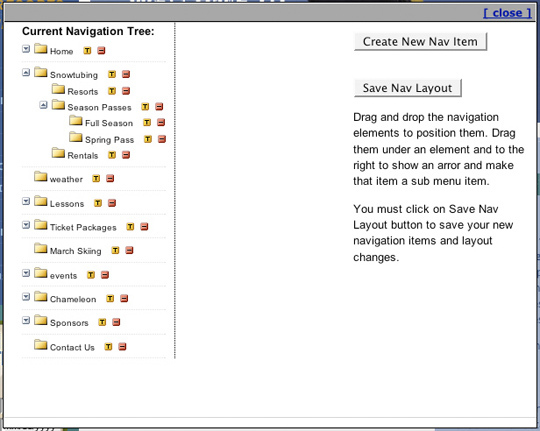 Since the Savvy navigation object is created using style sheets, it's also helpful with Search Engine Optimization.